In this article we will explain how a packing slip can be created. Log in to the MDware Toolkit and go to the invoices page. 2. 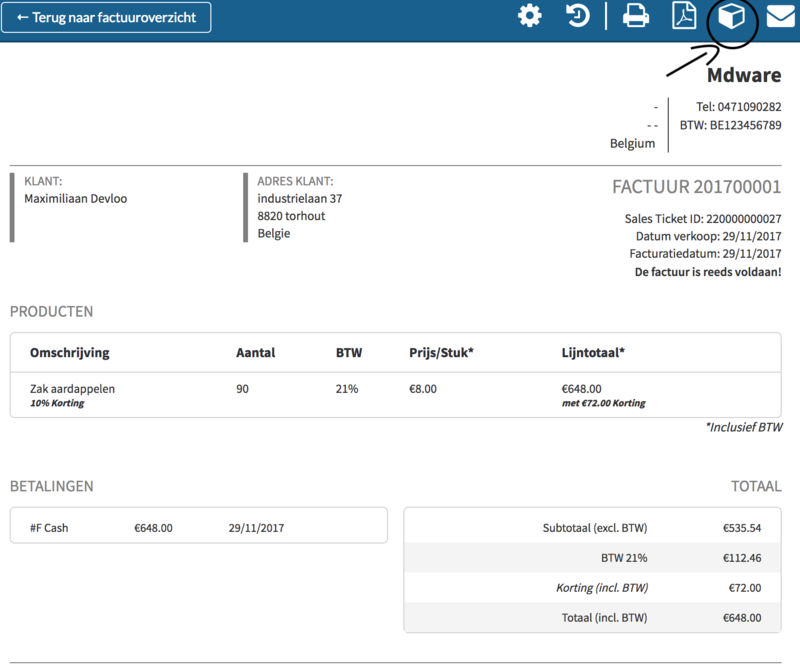 Select the invoice for which you want to create a packing slip and click on the "Detail" button. 3. In the upper right corner you will see a box-shaped logo. 4. When you click on this logo, your packing slip ("Pakbon") will be created and you'll be able to print it!